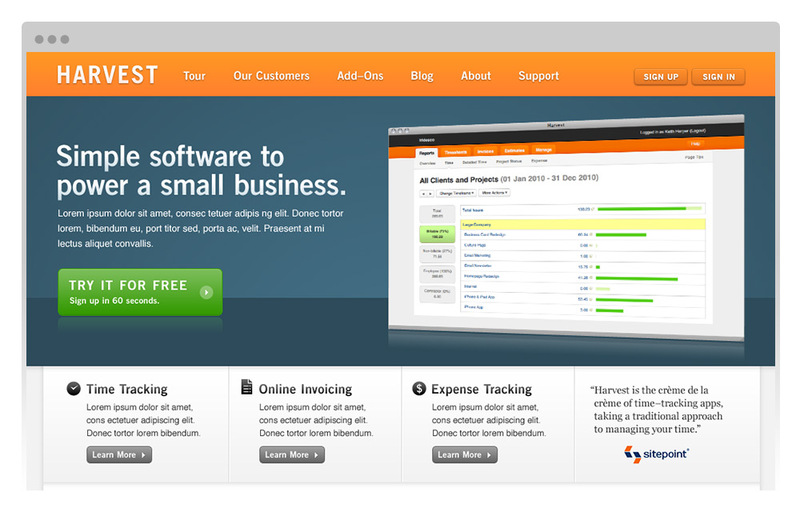 Product design and product marketing for a leader in time-tracking and invoicing. Keith’s responsibilities included redesigning and re-architecting the marketing website, from wireframes to UI design and production. 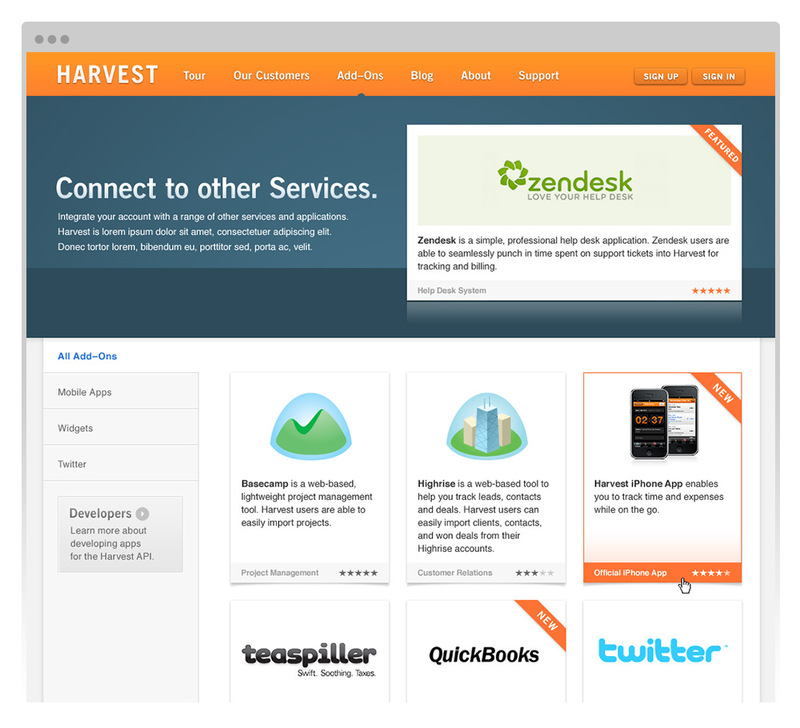 Harvest likes to play nice with other companies’ APIs, and Keith built a section of the site to showcase these technology partnerships. 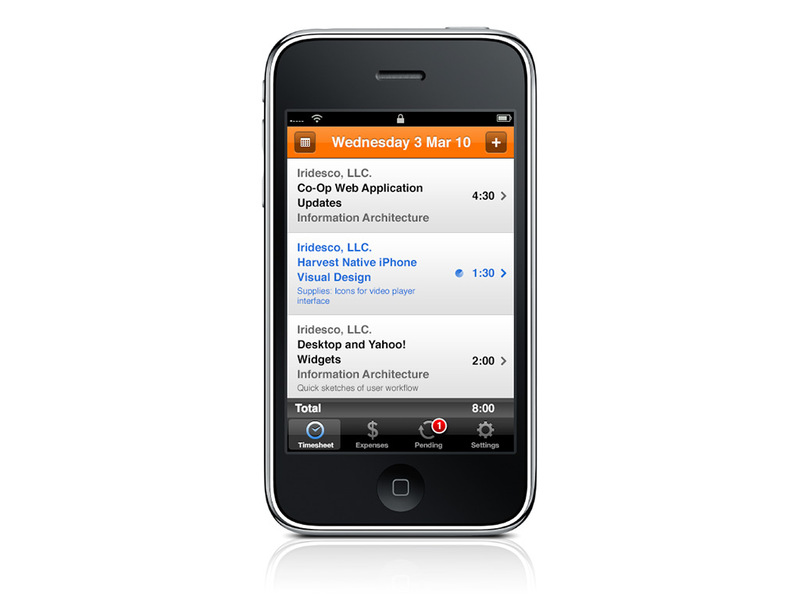 Showcasing the new Harvest mobile app was a priority for the redesign. 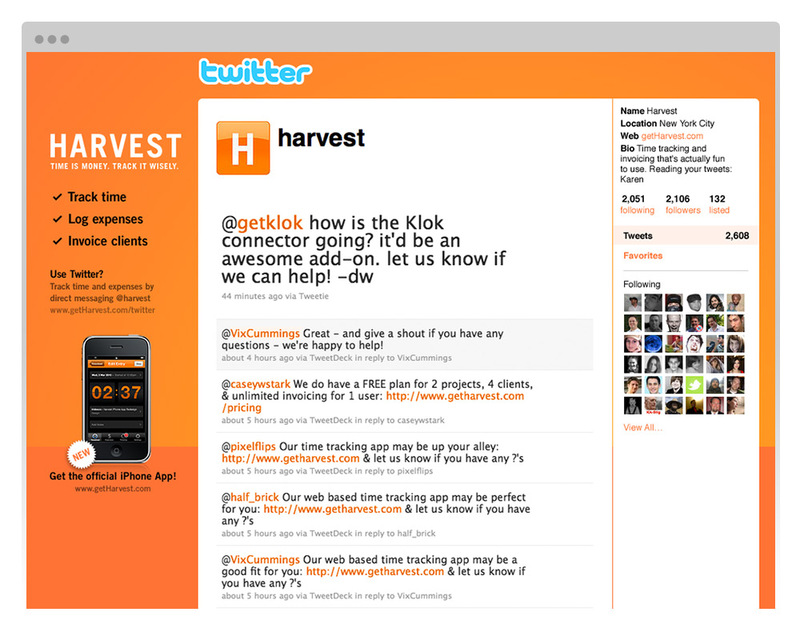 Keith designed a custom background for the Harvest twitter account that highlighted the new mobile app. 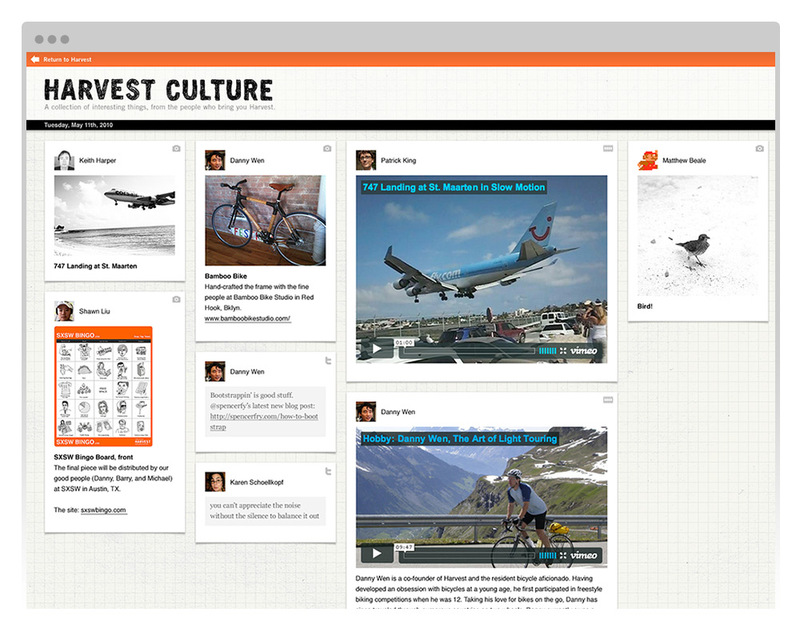 Keith worked with the founders to design a place for Harvest team members to share interesting things they found on the web and out in the world. 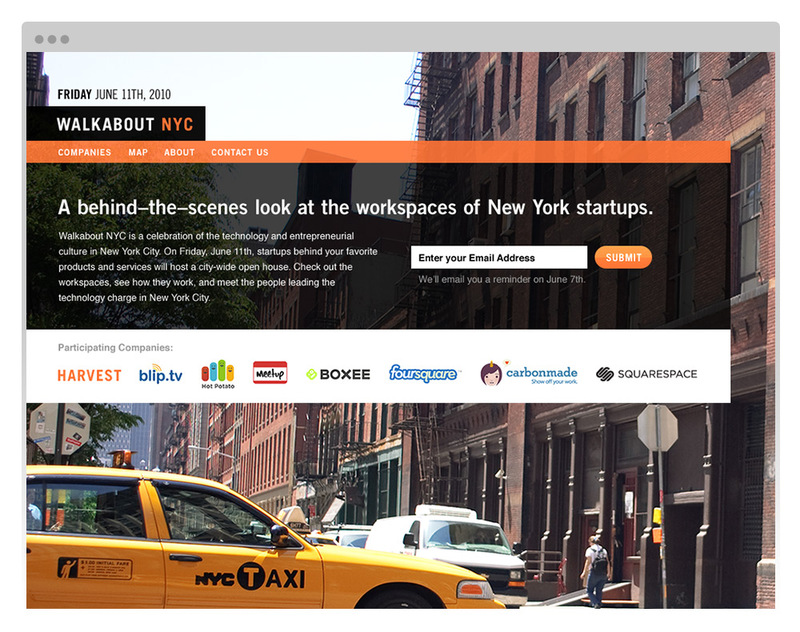 Walkabout is a New York startup event that Harvest created, and Keith was responsible for designing the initial website launch. 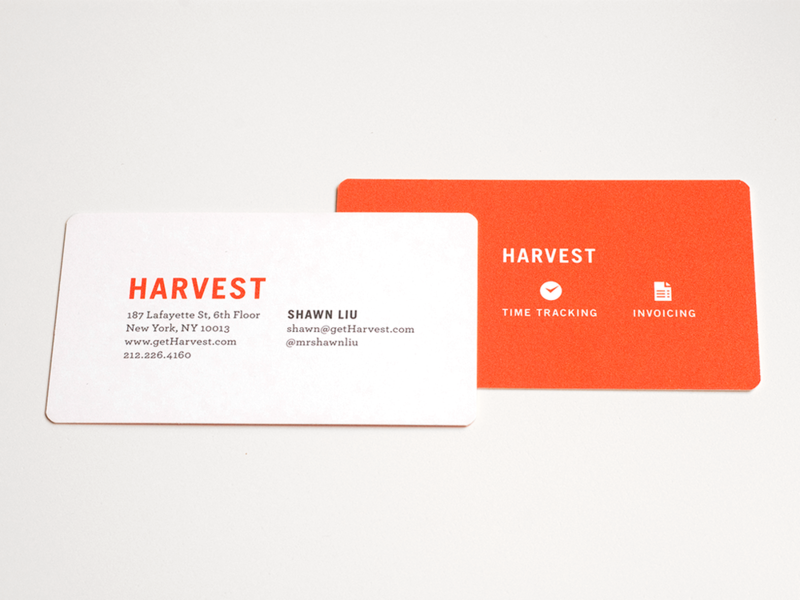 Keith designed new business cards for the Harvest team. 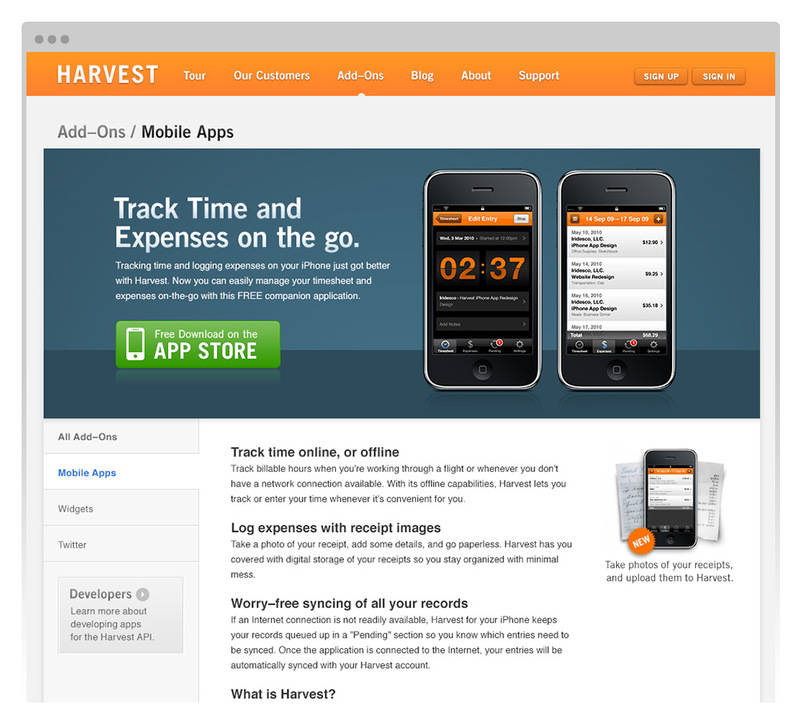 Keith helped refine the iPhone app for Harvest.